Tourism & Exchange Division participated in the 14th Kanku Tabihaku 2018 held at Kansai International Airport. Kanku Tabihaku is the largest travel event in the western region of Japan. 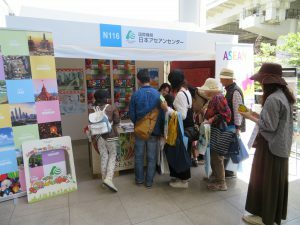 AJC distributed brochures of ASEAN travel information, introduced the winning products of the Mekong Tourism Award, promoted SNS media of AJC, and provided fun activities in the booth. Also, AJC made a presentation at a seminar to introduce luxury hotels in ASEAN that are suitable for young ladies, families, solo travel and couples. 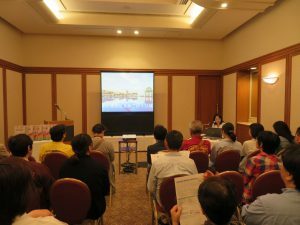 The seminar was attended by about 55 people.